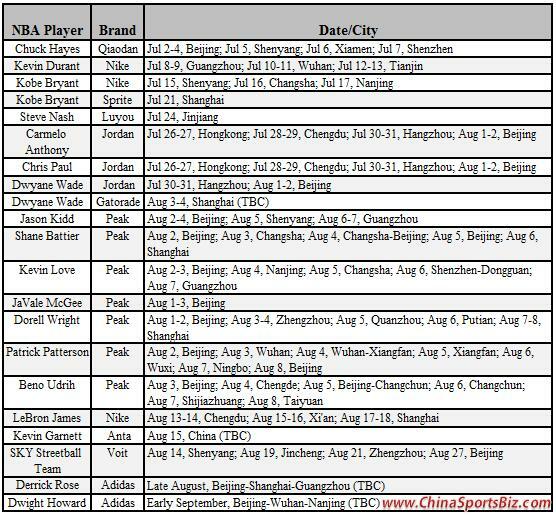 For the first time in history, almost all the top NBA stars are visiting the same foreign country for commercial activities in a summer season – China. 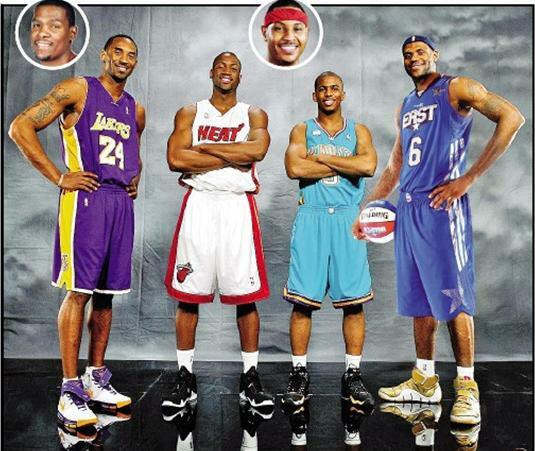 Kobe Bryant, LeBron James, Dwyane Wade, Kevin Durant, Carmelo Anthony, Derrick Rose, Kevin Garnett and many more NBA stars are on the list. They are invited by the global and Chinese sportswear, drink and automotive brands they represent to take part in all kinds of brand promotion and charity activities from July to early September in China, a country where 300 million people playing basketball. 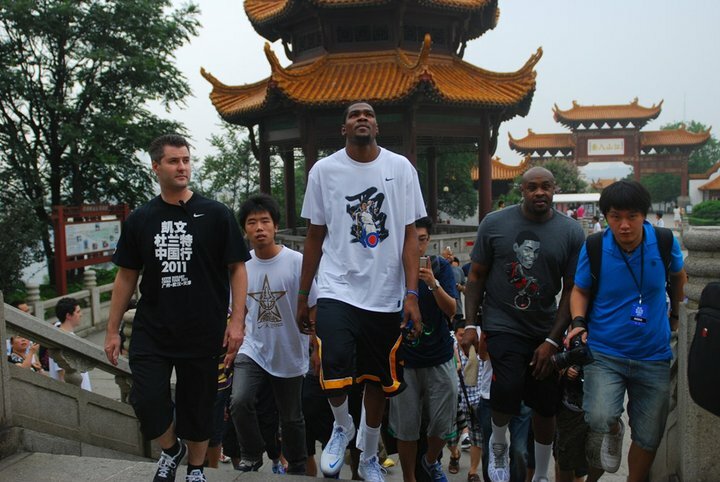 For many of the NBA stars on the list, it is not their first time to visit China. 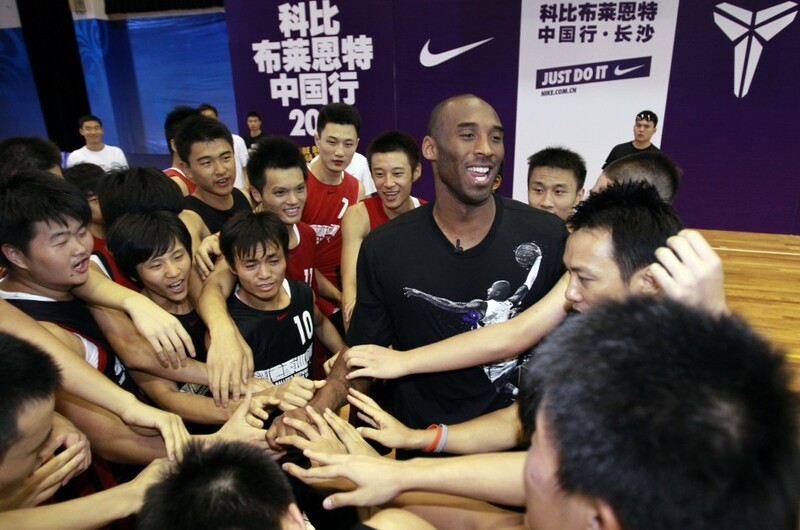 For example, Kobe Bryant has visited China almost every year since 2001. 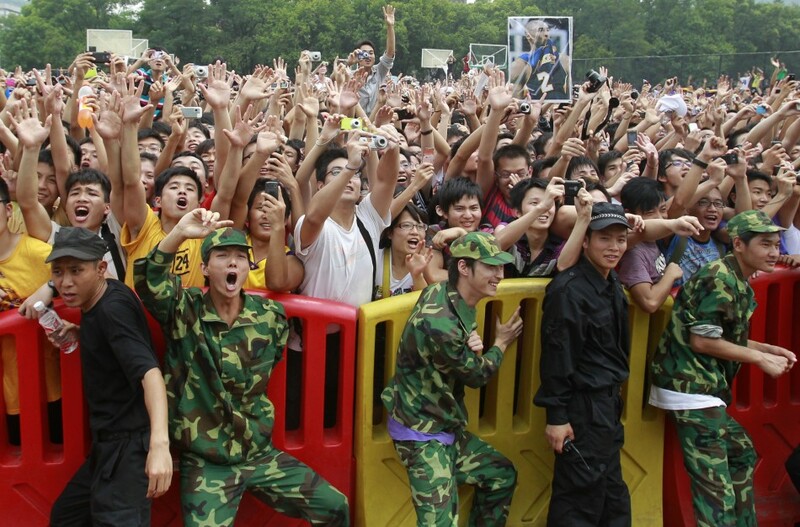 Such kind of interaction with the Chinese fans has helped him become more and more popular in China. 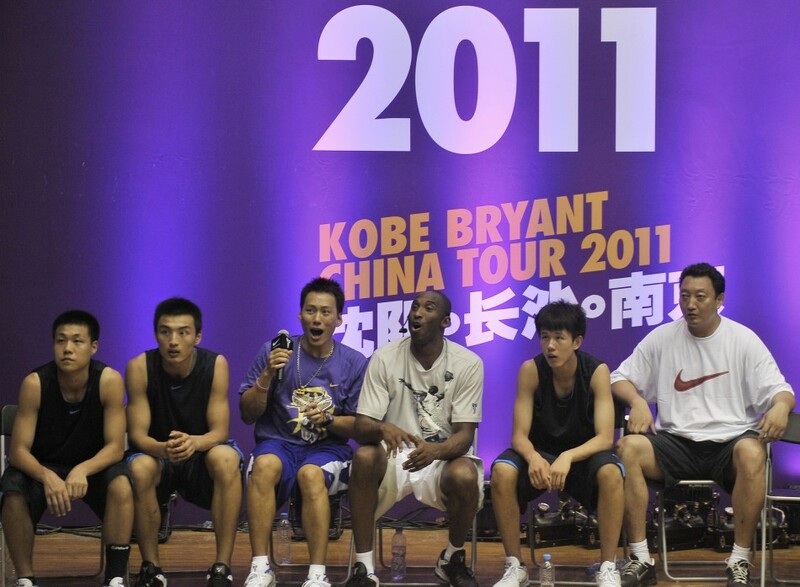 From the following photos you can feel the heat from Kobe’s Chinese fans during his China tour a few days ago . 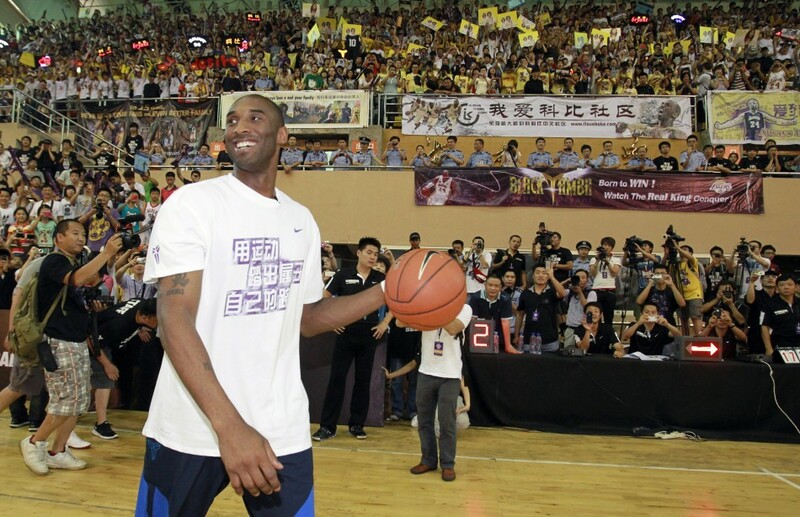 Similar to Kobe, LeBron has also visited China for several times since 2005. 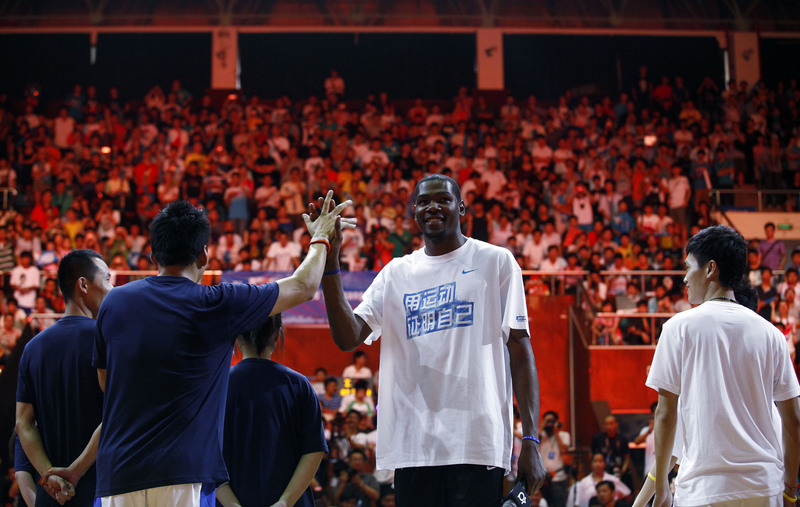 He took part in commercial activities there in 2005 and 2009, and participated in the NBA China Games 2007 as well as the Beijing 2008 Olympic Games. He will visit Chengdu, Xi’an and Shanghai in China during August 13-18. 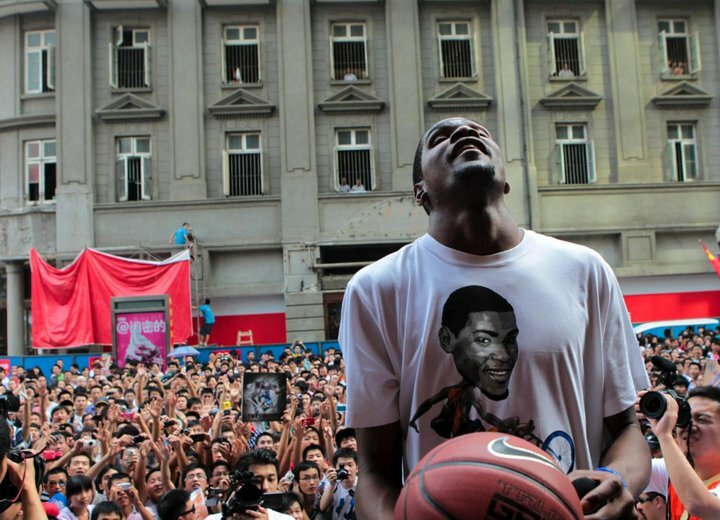 Kevin Durant has just finished his second China visit during July 8-13. Last year he called his first China trip one he’s ‘always going to remember’. 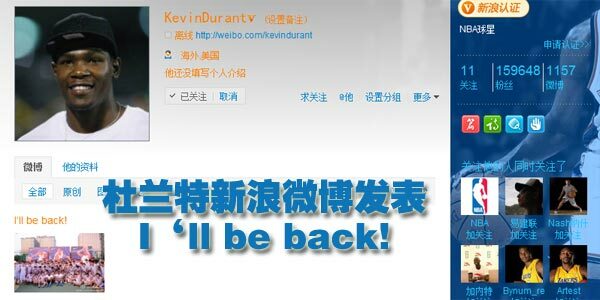 This year he says ‘I’ll be back’ on his Weibo (China’s Twitter) when finishing the tour. 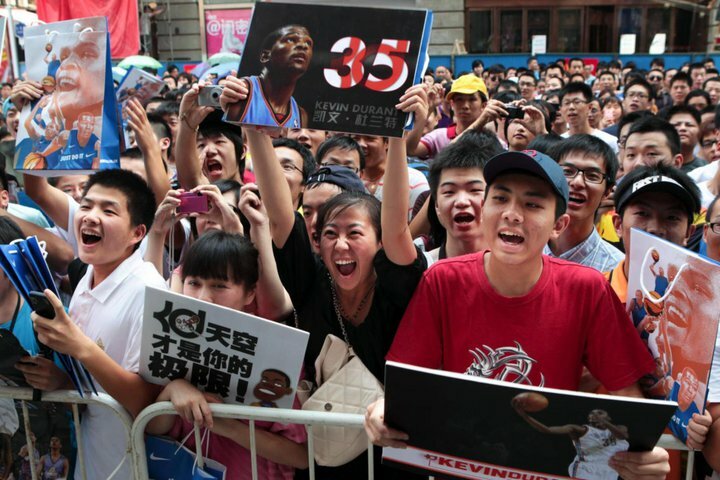 It will be the second time for Kevin Garnett and Derrick Rose while the third time for Jason Kidd to visit China in this August. Meanwhile, for NBA stars such as Dwyane Wade and Kevin Love, it will be the first ever time for them to participate in brand activities in China this summer. Wishing them all a great time in China!